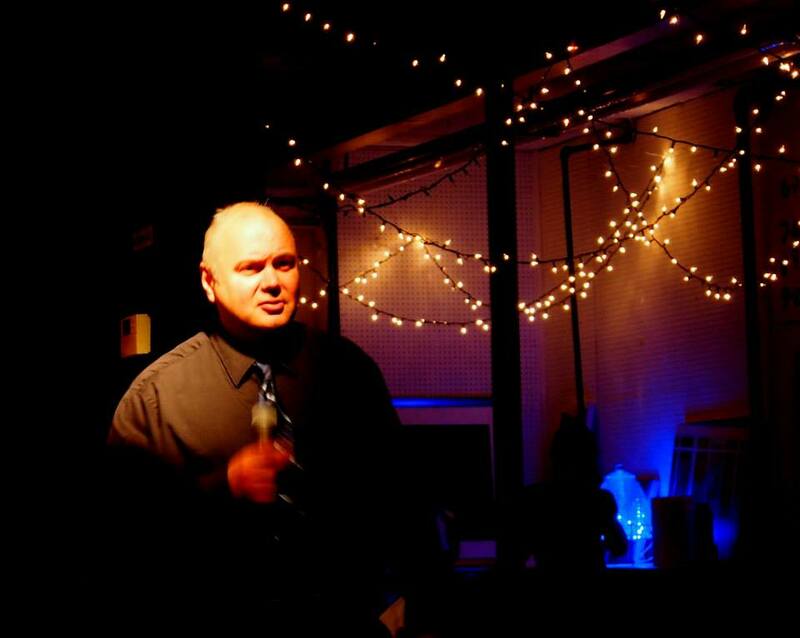 Technically my first theatrical production was at the Tinkerbell Kindergarten graduation ceremony when my tour de force performance of the Big Bad Wolf brought the house down with my ad-libbing and comedic timing. I did an impression of Nixon even though I didn’t fully appreciate who he was in the annals of American history or why it was funny, but I’m sure I had heard other entertainers do impressions of Nixon and all things considered, a Big Bad Wolf who shows up to the little pig’s door and sounds like Nixon is going to get laughs, especially if a five or six year old does it. Some four decades later I’ve come back to my roots, rejoining the world of the stage. How it went down: Some months back my friend Keith Paul of the Desultory Theatre Club had been teasing on social media that he was going to direct a David Mamet play. I openly salivated at the thought of playing any role in Glengarry Glen Ross. I knew the lines from the movie and I identified at varying times in my life with each of the characters to varying degrees (except for Alec Baldwin’s character…I’ve never been that guy but it would still be a fun role to play). I’d even lived in Chicago. Then he told us all that it was going to be Revenge of the Space Pandas, Mamet’s only play for children. I was hooked on the idea already and asked if there was any role I could play, however small. 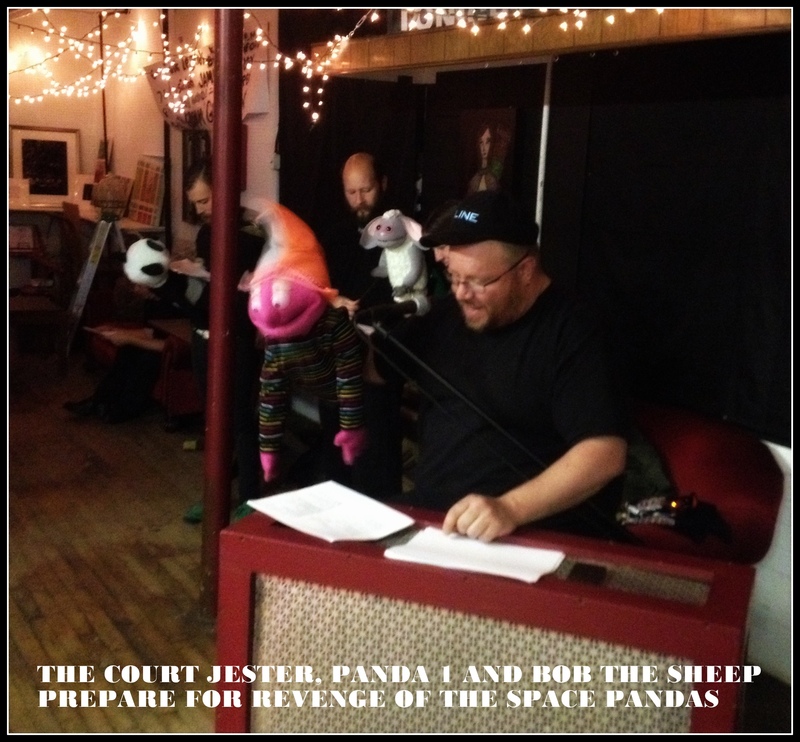 The format of this production of Revenge of the Space Pandas was called a “stage reading” which meant each actor would have the script in front of them and it’s their voices and expressions that sell the story, kind of like a live performance of an old time radio show. Theoretically, this would take the pressure off of memorizing lines. My role was considered a cameo appearance that gives some exposition and brings the audience some clarity but it’s only five or so pages. By the third rehearsal I had mostly memorized the lines. Of course there’s a difference between memorizing a speech or a monologue and then having to perform it back. At the dress rehearsal I forgot my line, a simple one, and then I said a line wrong which meant the other actor I was talking to was going to give an answer that didn’t make sense if I didn’t correct it. Mamet’s plays, even the children’s one, rely on precise language. I got put back on track fast, but it was a wake up call that no matter how much one can prepare, there is a moment right before being on stage when the realization of doing a performance can rush through you. It’s ok to recognize it and if it gives you energy, accept it for that fraction of a second but don’t live in that moment when doing the performance. The JOB is the performance, to hit the lines and do it right and it can be fun…but it’s a responsibility to the others, to the director, the cast and the audience who are relying on you. I’d have to see if I could do it for the show…. Nice job! I like hearing how you got involved in the project. And I agree that your 60-second pieces prepared you well for the role! Thank you Carrie!!! and thank you for COMING to the show, and being a part of that experience! I love how you help our cultural community by supporting the shows in Torrington!